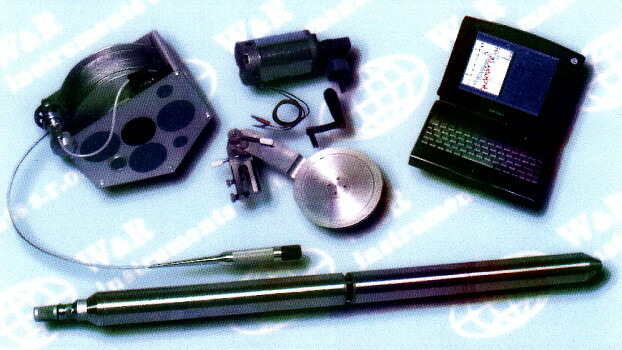 The HDS-600 is logging system designed for measurement of horizontal water flow direction in boreholes. 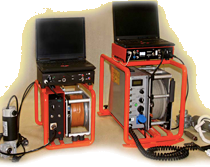 The systemcomprices the HD-601 probe (110 cm; Ø60 mm; 6.5 kg), the BLS-92H winch with 300 m of cable, measuring wheel and processing software. System can be powered from anysource of 12 – 45VDC. 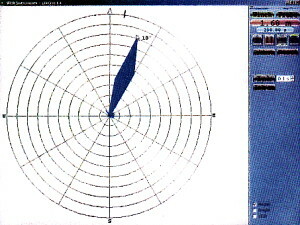 Graphical outpot of the processing program shows the velocity and direction of the hoizontal water flow across the borehole at a given depth. 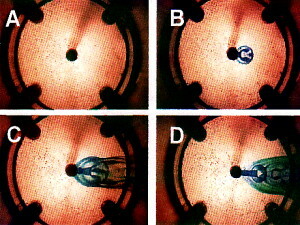 Time sequence photographs taken during lab testing perfectly illustrate the principle of the measurement.